Next month, the 40th Annual Rededication of Allensworth Historic State Park will be happening on Oct. 8. This rededication is able to happen with the help of many sponsors and volunteers alike. They have all come together to try and honor this historic site, and bring awareness and knowledge to help preserve the town Allensworth. Allensworth is located in central California, and is a part of the city of Tulare, which is a little over an hour north of Bakersfield. Allensworth was was founded in 1908, with the hopes of making a place where African Americans could own land. Lt. 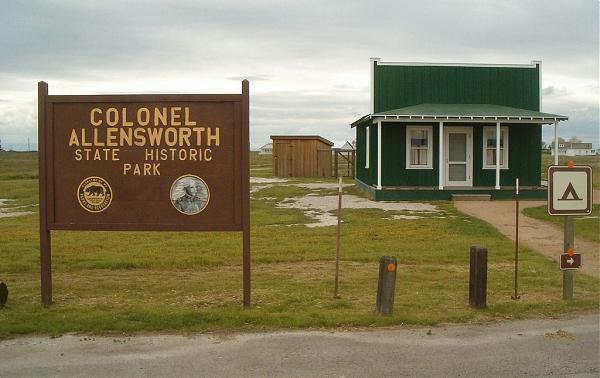 Colonel Allen Allensworth founded this town with Professor William Payne, minister William Peck, miner John W. Palmer, and real estate agent Harry A. Mitchell. Allensworth was the only town in California to be founded by, financed and governed by African Americans. This town was a big farming community. One of the main reasons Allensworth and his colleagues chose this land is because of the fertile soil, and the aqueduct water nearby. Some of the main crops were alfalfa, wheat, sugar beets, and cotton. They also had livestock, such as cattle, chickens, turkeys and Belgian hares. This made it so that they would be able to trade with neighboring cities and towns. Lt. Colonel Allensworth had a close relationship with Booker T. Washington (the founder of the Tuskegee Institute in Alabama), and it’s said that he was actually inspired by Washington’s Tuskegee Institute to make Allensworth. Like California’s current state, Allensworth went through a bad period of lack of water being distributed to the valley. This is what ultimately brought Allensworth to its end. Many of the original families left gradually as the water declined, which meant the town started to become run down. Later on in the 1950s the only water wells of the town became contaminated with arsenic. The remaining citizens were relocated to other cities, and in 1972 Allensworth became a historic state park in California with the help of Cornelius Pope who brought this to the attention of California Department of Parks and Recreation in Sacramento. Now in 2016, anyone can visit Allensworth, and get a taste of history. Bakersfield College student Fitzgerald Graves became a part of the Colonel Allensworth State Historic Park (CASHP) about a year ago. “Working with the CASHP has been a great experience. All the history and knowledge that so many people don’t know is just above them. Especially if you live in Bakersfield it’s just about an hour away in Tulare,” Graves said. At the 40th annual rededication of Allensworth, people of all ages and races are welcome to come to the festival, which lasts from 10:30 a.m. to 4 p.m. There will be music, food, drinks, square dancing, and tours of model homes, and also some of the original homes as well. Descendants of the original settlers of Allensworth will be there to speak to attendees as well.